Student Created Multiple-Choice Questions: Lesson for "Bridge to Terabithia"
By writing their own multiple-choice questions, students will incorporate evaluation and synthesis critical-thinking skills as they develop appropriate incorrect answer choices. The application of novel content is also solidified because accurate comprehension is vital to generating the correct responses. 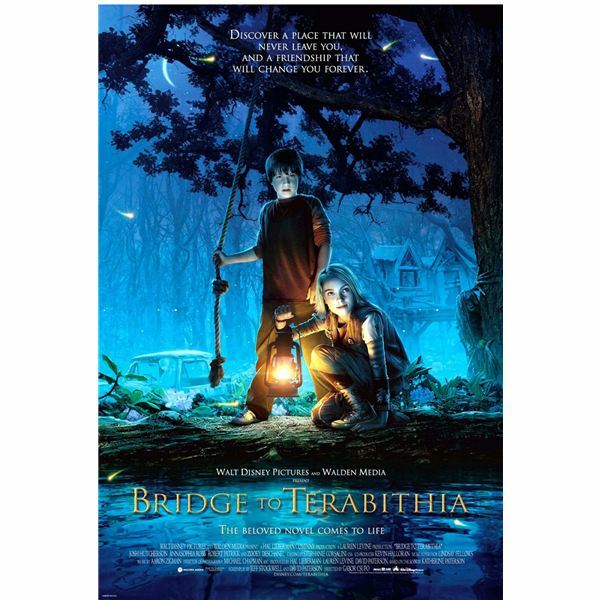 Learning Objective: Students will write original multiple-choice questions for major events in The Bridge to Terabithia (or any fiction or non-fiction text for that matter). 1. Upon completion of the novel, students should comb back through the chapters and select one or two pertinent events per chapter. 2. Select one an event to demonstrate the process. Have students copy the model to use for reference. Begin by generating a question. Example: How does Jess prepare himself to be the fastest runner in the upcoming school year? First, allow students to provide the correct answer: He trains every morning by running full speed across the pasture. Decide which letter (A-D) this correct answer will be assigned to. Next, develop the incorrect answer choices. I usually start with the one that is totally off base such as He helps his mother do laundry and other household chores. Again assign it a letter. The next two choices I call the “close, but not quite" options. These choices might sound like good answers if careful attention wasn’t given to reading the book. Examples may be Jess raced his sisters down the town’s dirt roads and He ate plenty of healthy food all summer long (probably true, but not supported by the text). How does Jess prepare to be the fastest runner in the fifth grade? A) Jess raced his sisters down the town’s dirt roads. B) Jess trained by running full speed across the cow pasture every morning. C) He ate healthy food all summer long. D) Jess helped his mother with the laundry and other household chores. 3. Allow students to use this process with the rest of their chosen events. As a fun option, I’ll often have students trade questions with classmates as sort of student-generated quizzes. They also enjoy correcting them! Evaluation: Assignments can be scored by making each question worth five points: One for an appropriate question, one for the correct answer, and one each for three thoughtful incorrect choices.